Samsung is no stranger to foldable displays, but it's the first time the South Korean company is trying to adapt the technology to larger screens. A new patent for a foldable tablet has just been spotted at the U.S. Patent Office and from what we can see from the patent figures published it looks pretty neat. Unfortunately, the problem with these patents is that we never know whether any of the devices and technologies patented by big companies like Samsung will ever be turned into commercial products. There might be prototypes in the wild, but it's a long way from prototyping such a revolutionary device and actually put it on sale for the general public. Another issue concerning the patents registered by the U.S. Patent Office is that they don't reveal any information regarding the specifications of a device patented by a company. It only publishes the patent figures and drawings that everyone can check out, but either than that we know nothing about what components are hidden under the hood. But that somewhat makes sense since the company that trademarks or patents a device doesn't know for sure what the final product (in the fortunate cases) will look like. There's no telling what compound will work better on a foldable tablet, or what type of display, so this information is usually left our from the documents filed at the U.S. Patent Office. 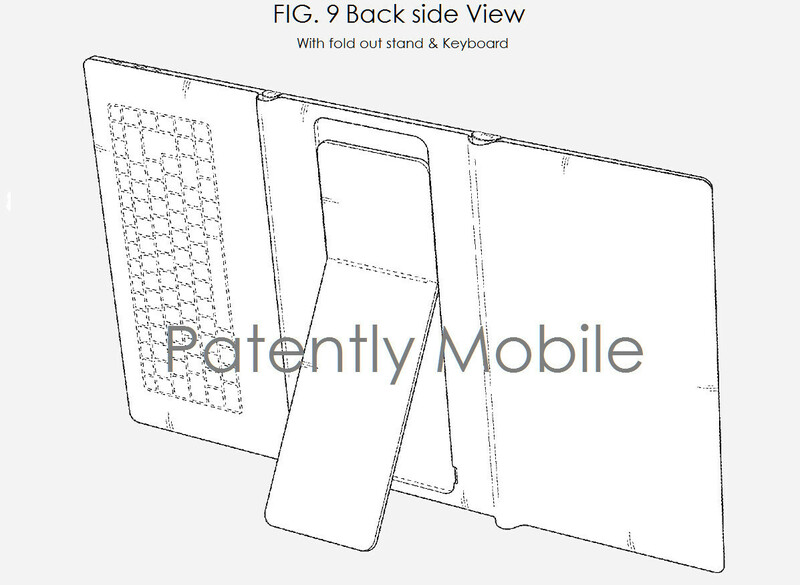 The patent in question that's been revealed today was filed in the United Sates on July 14, 2015, so Samsung has been toying around with the idea of a foldable tablet for more than a year. Now let's see whether or not the South Korean company is capable of doing something with this patent. Didn't Sony already try this? Granted it was a pathetic attempt, I would assume Samsung will do a much better job. It is more practical now than it was years ago, it'd still have the symptoms of being a first generation though. Bring back the kick stand to phones please ala htc evo 4g! What good are bigger screens for videos when u gotta hold the damn thing all the time?